Can be classified as “Conditioning” of Anjou Pears for the Packinghouse level, or “Ripening” for the Distribution Center or Wholesale Market level. Pears should be shipped and stored at 0°F. (pulp temperature). Before pre-conditioning begins, the fruit pulp temperature should be raised to 21°C. If not using forced-air ripening rooms, then be sure to air stack the boxes (at least 5 cm between boxes) to ensure proper air circulation. Leave 40 cm feet between walls and pallets and about 15 cm between pallets. Once the fruit pulp temperature is stabilized at 21°C, place a Catalytic Generator in the room, fill it with Ethy-Gen® II Ripening Concentrate, plug it into a properly grounded outlet, turn the generator on and close the door. Within 35-40 minutes, the generator will produce enough ethylene for proper ripening (100-150 PPM). Check pulp temperature at least twice per day and maintain 21°C. temperature. While applying the ethylene, vent rooms every 12 hours by opening the doors for 20 minutes. This rids the room of carbon dioxide which retards ripening. Apply ethylene 24-72 hours. Length of application time will depend upon the season. For early season fruit, 72 hours of ethylene introduction may be necessary to achieve the desired firmness. For later season fruit, and fruit that has been stored for 2 or more months, 48 hours or even 24 hours may be sufficient. It is important to check firmness* daily. Firmness may drop one pound psi force per day on the average. Keep in mind transit time until fruit is on the shelf when determining optimum firmness. Generally, for conditioning pears at a packing house, pears should be removed from the conditioning room when fruit firmness drops to 11 to 12 lb. psi force of firmness and rapidly cooled back down to 0ºC. Trying to achieve a lower firmness can make handling and shipping more difficult. Be aware that conditioned fruit will ripen faster and need gentle handling especially as the firmness decreases. Always handle pears gently. Supermarket distribution centers or wholesale markets may want a lower firmness if the fruit will have less travel time and will be on the shelf sooner. Pears in the 3 to 5 lb. psi force firmness range are often considered best for eating out of hand. However this can vary according to individual tastes and circumstances. Once desired firmness is reached, rapidly bring the temperature down to 0°C. The fruit is easily bruised; therefore, shipment and movement of the fruit at 0°C helps to minimize damage to the fruit. Pears will continue to ripen once triggered. It is important to lower pulp temperatures and keep fruit refrigerated to slow the ripening process. 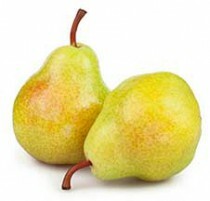 For more information, see the web site of USA Pears – Pear Bureau Northwest: usapears.com. *For a complete line of Fruit Firmness Testers, visit QA Supplies, LLC. These recommendations were amassed from a diverse number of sources for use by clients of Catalytic Generators, Australia. While we have made great effort to provide accurate and current ripening techniques, Catalytic Generators makes no warranties regarding these recommendations or the applicability of such information to a particular ripening operation. Please note that we do not provide these recommendations as a replacement for technical ripening experts; if having ripening problems or starting a ripening program, we suggest that professionals be consulted.